You might not think it, but there’s a considerable amount of skill and care that goes into effective carpet cleaning. Without the right products, the right equipment, and the right people doing the work, any stubborn stains that have found a home on your floors will be staying there for the foreseeable future. What’s more, poor carpet cleaning practices and products actually pose a risk to human health and the environment, so it’s absolutely essential to ensure anyone you bring in to clean your carpets will do a thorough and professional job. Here at Bayview Steam Cleaning, we take pride in providing a service that excels in cleanliness. We always use non-toxic cleaning products and take care to ensure all our work is performed in an environmentally friendly manner. Without access to the right cleaning tools, a carpet will inevitably start to lose its freshness – no matter how often you vacuum or get down on your hands and knees to give it a good scrubbing. To clean your carpet the right way you need strength: and this comes in the form of industrial cleaning equipment like we have here at Bayview Steam Cleaning. Our team utilize truck mounted professional steam cleaners that offer excellent suction strength, to quickly and efficiently eliminate any lingering dirt and debris that has been smudged into your floors over time. These extremely powerful machines have the capability to wipe clean large areas of carpet in a matter of minutes, offering higher extraction rates and much faster drying times than you’d get with an ordinary piece of steam cleaning equipment. If you need a tighter space cleaning – such as an apartment or condo – we have portable steam cleaners on hand that provide an effective, practical cleaning solution when truck-mounted steam cleaners cannot squeeze onto the property. 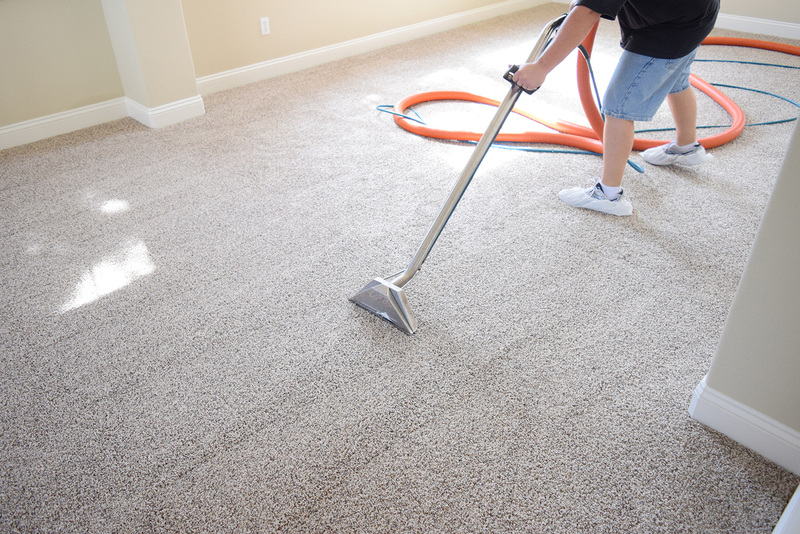 Also, if your carpet or rug is made of fine material and requires careful handling, we can expertly remove it from your residence/office and send it to a customized cleaning facility to preserve its appearance. Safety is also essential when it comes to carpet cleaning. All our services are conducted with the utmost care and skill, with our team using non-toxic products to bring out the freshness of your carpet in the most hygienic manner. These include some of the best cleaners on the market, such as Microban Milgo SR, Enz-All and Galaxy Steam Cleaning Equipment. Lastly, it’s important to remember the aspect of sanitation during carpet cleaning. 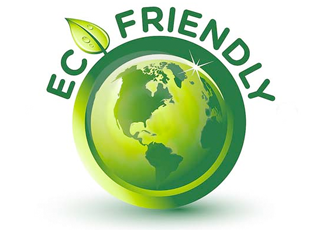 Our eco-friendly deodorizers are great at removing stains quickly and efficiently, without the risk of any damage to your carpet or your health. These products are capable of banishing odours left behind by pets too, giving your office, apartment, condo or house a clean, fresh fragrance. 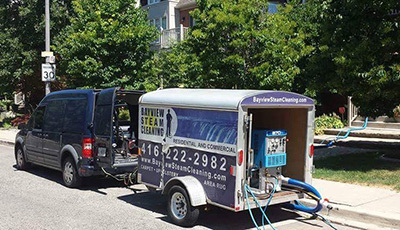 Bayview Steam Cleaning offer a wall to wall carpet cleaning and area rug cleaning service in Toronto, North York, Vaughn, York Region, Newmarket and the Bayview Avenue neighbourhood that cannot be matched. Operating 7 days a week, our staff provide a dedicated service and have access to the highest quality carpet cleaning products and equipment available on the market. Whether you need your home or office steam cleaned to perfection, Bayview Steam Cleaning can help. 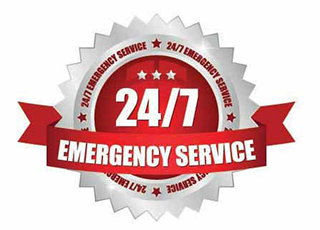 We also operate a 24/7 emergency service – meaning you can take advantage of our excellent facilities in the event of sudden disaster such as flood and water damage. Give us a call today on (416) 222-2982 or (416) 835-4182, or contact us to see what Bayview Steam Cleaning can do for you.